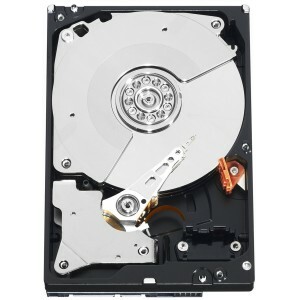 There have been many significant upgrades to computer hardware technology but one that is often overlook is the increased speed you can now get buy purchasing a Sata 3 or Sata 6Gb/s hard drive. It took some time after the full 3.0 standard release May 27, 2009, but HDD are now very affordable and most new motherboards come with Sata 3 compatibility. We all know that the increased standard means higher speeds, but just how much? The maximum achievable speed for Sata 2.0 was 300 MB/s, only capable with a solid state drive. For Sata 3.0 we already have seen speeds in excess of 500MB/s with Intel’s 510 series. For HDD the speeds is noticeable during burst periods but HDD do not, in general, exceed the 300MB/s Sata 2.0 protocol. Still, ThinkComputers.org as well as many other product testers have proven that Sata 3.0 HDD are indeed faster. Seagate recently stated that solid state drives won’t replace hard disk drives for quite a while because the supply of NAND Flash memory is simply too small for all the micro devices that use it. Because the price of SSD will remain high with the low supply expect to be using conventional hard disk drives for quite a while. Available in 640GB, 1TB, 1.5TB, and 2TB the Western Digital WD20EARS is the bestselling hard drive of 2011. Western Digital Caviar series reduces power consumption by up to 40% by using a fine-tuned balance of spin speed, transfer rate and caching algorithms designed to deliver both significant power savings. It also comes equipped with Intelliseek which calculates optimum seek speeds in order to lower power consumption, noise, and excess vibration. The Barracuda from Seagate uses a unique 5900 RPM system in order to give it maximized speeds for a lower power consumption green-based hard drive. Available in 500 GB up to 2 TB the WD Caviar Black combines 7200 RPM, 64 MB cache, and SATA 6 Gb/s interface for ultimate performance. This hard drive is perfect for those who push their computers to their limits. Seagate’s Momentus Drive is quickly becoming popular because it’s a hybrid drive which gives you quick speed for your most important files – up to 80% faster than conventional 7200 RPM HDD without the standard SSD cost. Western Digital’s WD10EARS and WD2002FAEX. We hope you’ve enjoyed this article on the best hard drives for 2011. If you have, then please see our categories to the right and our top ten lists above. Hitachi performs better than Seagate & gives less trouble.